Business owners must invest time and money in marketing their business and promoting their products and services. Effective marketing is one of the top reasons why some businesses become successful. While some owners stick to one type of marketing, others use various mediums to connect with customers. An effective method of reaching a broader audience is cross-media advertising. 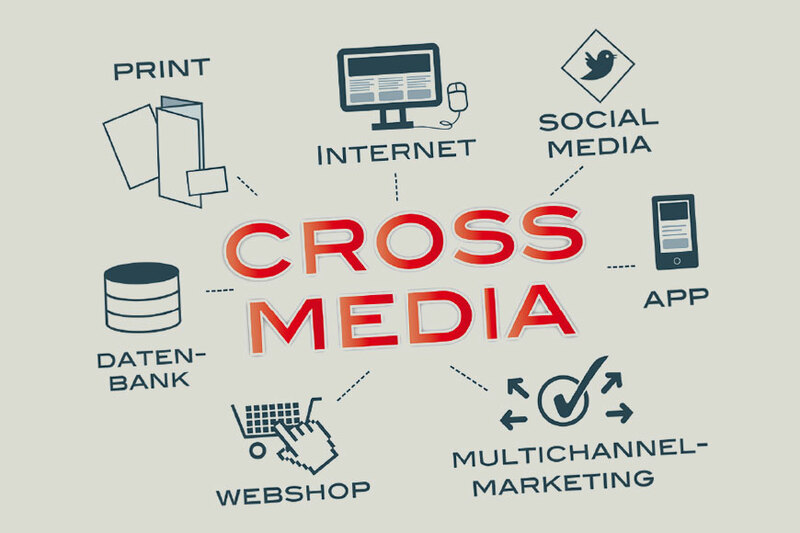 Cross-media marketing is a strategy used by business owners to market a business using various types of media. Owners may use all of media types individually or combine several mediums to create a cohesive marketing campaign. Cross-media advertising is one often overlooked by business owners, especially Internet entrepreneurs, according to Web Pro News. Keep the target consumer profile in mind when choosing media for a given business to reach maximum profits. The common association people make when thinking of media is radio, television and newspaper. However, business owners must learn about other types of media to reach a broader audience. Additional types of media for cross-media advertising campaigns include billboards, print ads, video ads on niche websites, advertising spaces offered by search engines, Internet banners and visual ads. The purpose of cross-media advertising is to reach a larger audience and customer base. If the target customer profile is broad and covers an age range between 18 years of age and 65, the company may use various types of media to reach all customers. While the elderly may read the newspaper or watch television to see advertising, the younger generation may use websites and apps on smartphones to learn about new products or services. All advertisements made in a cross-media advertising campaign often have the same structure or train of thought. Each advertisement must be eye-catching and draw attention. It must be interesting, thought provoking or have a relevant message to those reading the message. Lastly, it must have a call to action, whether it is a link to a website on the Internet or contact information such as a website address, phone number or email address. Are you ready to begin implementing a Cross Media Marketing campaign? Let Media Tech Plus help you though the options and develop a plan to GET GROWING! Next post: NextWhat is Integrated Marketing?